Bentley 4.5 liter. Photo by David LaChance. More than 240 years after the founding fathers met in Philadelphia, Pennsylvania, to sign King George’s walking papers, the Simeone Foundation Automotive Museum in Philly is welcoming a British invasion at its annual “Best of Britain” event. This British invasion, set for February 16-March 3, 2019, will forgo gun powder and musket balls in favor of gasoline and pistons — in particular, pistons powering the cars of Bentley Motors Limited. 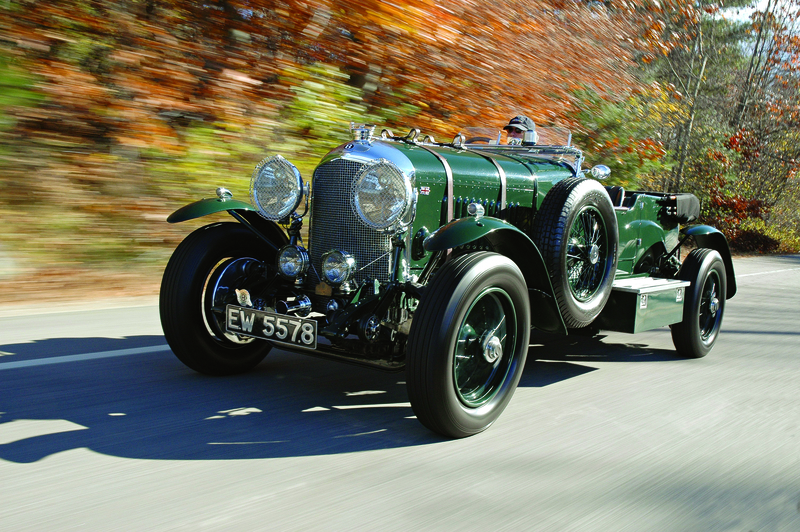 Bentley is celebrating its centennial in 2019, so the museum is extending a special invitation to Bentley automobile owners wishing to participate. Pistons were one of the many things that Bentley founder Walter Owen Bentley was known for during WWI. His Bentley Rotary aircraft engines with aluminum pistons as well as aluminum cylinders with cast-iron liners, kept British Sopwith Camel biplanes soaring over the skies above Europe. After the war, in 1919, W.O. Bentley launched his namesake car company and pulled the wraps off his now legendary 3 Litre four-cylinder engine powering the Bentley EXP 1 automobile. Bentley’s 3 Litre took fourth place at the first 24 Hours of Le Mans in 1923 then grabbed a win in 1924. A 3 Litre won again in 1927 then in 1928 the 4-1/2 Litre took the overall. Bentley continued to dominate LeMans with its six-cylinder Speed Six until 1930. In 1931, Bentley was bought by Rolls-Royce and its cars became badge-engineered Rolls-Royces. This continued for years after W.O.’s death in 1971, but the founder’s spirit was indefatigable. Today, the company is wholly owned by Volkswagen and known for its plus-sized luxury cars and SUVs. Bentley also returned to LeMans with the (Audi-powered and -influenced) Speed 8 racer, which won the event in 2003. Bentley owners who’d like to join the Simeone’s Best of Britain exhibit can submit a photo and a short description of their car on the museum’s website. Also among the Simeone museum’s most popular attractions are its twice-monthly Demonstration Days, when it rolls historic cars out to a paved lot and drivers pilot them around a short racing course. These Demo Days are held on Saturdays at noon and include a brief discussion of the cars featured, explaining their historical importance. The museum has posted a downloadable schedule of 2019 Demonstration Days on its website. For a review of the Simeone museum be sure to check out Hemmings contributor Michael Milne’s blog.